ZeroEnergy Design has been awarded Best of Houzz 2019 for Design by Houzz, the leading online platform for home remodeling and design. The annual Best of Houzz Awards recognize home remodeling and design professionals with the highest ratings and the most popular home designs from around the world. The Best of Houzz Awards are considered an indication of quality within the home industry and are given in three categories: Design, Customer Service and Photography. The Design awards honor professionals whose work was the most popular among the more than 40 million monthly users on Houzz. For ZeroEnergy Design, the Best of Houzz Award for Design is a thrilling acknowledgment of the growing popularity of high-performance homes that blend energy efficiency with modern aesthetics. This is the seventh consecutive year that ZED has been awarded a Best of Houzz Award. We are honored to be recognized by the Houzz community and our clients. ZeroEnergy Design and A.F. Hultin & Co. Won a BRICC Award for Excellence in New Single-Family Home Design and Construction. The award winning Boston architect and Cape Cod contractor were recognized for a green, energy efficient, Cape Cod home. The recognition was for a three-bedroom, two and a half bath new green home in Wellfleet, MA created for a West Coast couple that wanted a vacation home for themselves, their family and as rental property. Several green attributes function in unison to create the energy efficient 1,800 square-foot home. Continuous super-insulation and exceptional air sealing reduce the annual heating requirements. Triple-pane windows to capture views and passive solar gain. An air source heat pump keeps the home cool in the summer and warm in the winter. High efficiency appliances and LED lighting keep energy consumption low. On the rooftop, a solar electric system produces enough energy to offset most of the annual energy consumption. Overall, the home uses 89% less energy than similar new homes. The home layout is also efficient with an L-shaped open living, dining and kitchen space to allow ample space for entertaining. The master suite with a built-in study is located at the western end on the entry level, while on the lower level are two guest bedrooms, a full bathroom and the laundry area. The home is built on a sloping site optimized for outdoor entertaining through the use of a dining patio on grade and a platform deck without the need for railings. Beautiful views of the surrounding forest are captured while still attracting natural light throughout the home. 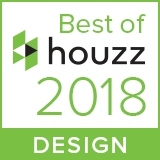 ZeroEnergy Design (ZED) has been awarded "Best of Houzz 2018" for Design by Houzz, a leading website for home design and architecture. With a focus on green modern homes, ZED was selected by the Houzz users from among thousands of home building, remodeling and design industry professionals listed on the website. The Best of Houzz 2018 award was received for 'Design', signifying that the award winners' design work was the most popular among the more than 40 million monthly users on Houzz. Dwell Magazine named the Top 10 Design Pro's of 2017. ZeroEnergy Design made the list! We are thrilled and honored by the recognition. 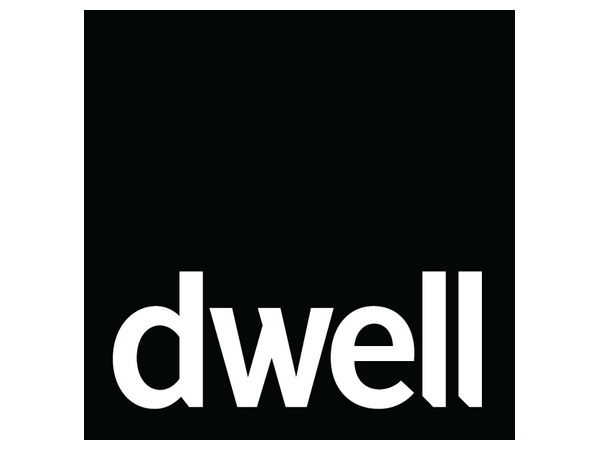 Many thanks to Dwell Magazine, our fabulous clients, and our amazing staff. ZED receives 3 PRISM Awards! ZeroEnergy Design is honored to receive 3 PRISM Awards for 2017! Hosted by the Builders and Remodelers Association of Greater Boston, the PRISM Awards seek excellence in building, design, and industry related categories. Fine Homebuilding just released a summary video of the 6 award winning projects profiled in the 2017 HOUSES issue. Click below to view! Stephanie Horowtiz of ZED is nominated for the Boston Mayor's Greenovate Awards! (She's in the 'Buildings and Energy' category of course). Support her nomination and help her win! Voting is open only until April 7! ZED awarded Best of Houzz 2017 for Design! ZED has been awarded "Best of Houzz 2017" for Design by Houzz, a leading website for home design and architecture. With a focus on green modern homes, ZeroEnergy Design was selected by the 40 million monthly Houzz users from among the thousands of home building, remodeling and design industry professionals listed on the website. Representative ZED team members were thrilled to celebrate the Best of Boston Home® 2017 award Best Sustainable Architect, Boston while at the Innovation & Design Building last night! Thanks to @BostonHomeMag & @BostonMagazine - We are grateful for the honor. ZeroEnergy Design was selected for the national 2016 ARCHITECT 50 list, a list of the top architecture firms across the country generated annually by Architect magazine, the Journal of the American Institute of Architects. After more than a decade of high performance design, ZeroEnergy Design fared exceptionally well against far larger firms, including placing 6th nationwide on the Sustainability list. Contributing factors include that over 82% of the firm’s designed projects exceed the AIA 2030 goals, and for those post-construction projects with collected data, 87% met the predicted energy use intensity goals with real world performance. The European Centre for Architecture Art Design and Urban Studies and The Chicago Athenaeum: Museum of Architecture and Design presented a 2016 Green GOOD DESIGN™ Award for the Margate Resilient Residence to ZeroEnergy Design. Green GOOD DESIGN identifies and emphasizes the world’s most important examples of sustainable design, while also helping develop public awareness about companies that provide the best in ecological and sustainable design. The original GOOD DESIGN award program founded in Chicago in 1950 remains among the oldest and most important Awards Program worldwide. ZED wins 2016 Best of Houzz Awards! ZeroEnergy Design has been awarded “Best of Houzz” for Design & Customer Service by Houzz, a leading site for home design and architecture.